The bill’s easy passage in the Upper House is anticipated, but some House members have already suggested they won’t support it because they consider it a new tax. President Obama said he supports the measure. Called the Marketplace Fairness Act, the bill would allow states to collect taxes from out-of-state buyers of online products. Proponents say the measure puts Internet sales on the same competitive level as so-called brick-and-mortar stores. Sales taxes would then be sent to the state where shippers reside. “The special treatment of big online businesses at the expense of retailers on Main Street will soon be a thing of the past,” said Bill Hughes of the Retail Industry Leaders Association. Opponent Sen. Ron Wyden, D-Ore., said the plan “is coercive. It requires a number of states to collect the taxes of other states thousands of miles away against their will.” He also opined the bill gives an unfair advantage to foreign retailers. We need a national tax revolt…it may not happen in my lifetime but it will happen. Every time you turn around some Government entity is trying new ways to tax and regulate the American people. Hell…we can’t let all of those immigrant terrorist go hungry. FOOD STAMPS FOR EVERYONE! 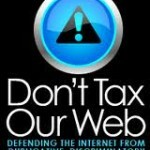 We need a national tax revolt against corporation’s who don’t pay taxes. If the corporations paid a fair share we would not need to cut social programs and we would pay less personal taxes. They just pass the cost along to you….you don’t really think that Oil companies for example just pay the extra tax without charging you more for gas do you? Well, the rich won’t let you raise their taxes, such as taxing their $32 trillion in offshore accounts, we have to raise taxes on everyone instead. Too bad for the common-folk, who simply can’t afford the purchase price of politicians. This will give big Internet businesses a huge advantage. the small guy cannot handle the administrative burden of dealing with fifty states differing tax, collection, depositing and reporting rules. A blow for small business. another job killer by the Obama administration. It’s not requiring States to collect other States’ taxes, it’s requiring citizens of other states to act as unpaid agents of a state they neither live in, nor consume its resources. This is the ultimate Taxation without representation. Does California expect me to pay California taxes on items I purchase while visiting other states, too? The gubmint has been eyeballing the intr0netz for sometime now, dreaming of how “they can get theirs” and further control the lives of other people. I forgot to add, with the telcom-level data duplication going on, and the vast storage of internet traffic in Utah by NSA – what would prevent the government from “backtracking” citizens’ purchases? Wasn’t Prop 30 in CA “retroactive” to the beginning of the year? The IRS feels it does NOT need a warrant to read your e-mail and any other electronic communication! Now, either you see a picture forming here, or you’re still in the dark thinking the government will “save us” from ourselves and make all our lives better. I recently went to Philadelphia. On our way back to the airport, we went across the border into Wilmington Delaware where there is no sales tax. I was surprised to find just along the border, huge shopping malls and big box stores. This was obviously a benefit to the residents of Pennsylvania. I understand it is similar in Portland OR and Vancouver WA. This is unconstitutional and unworkable and impedes economic progress. The Supreme Court has already ruled in 1992 that states cannot require businesses in other states to collect taxes for them. That single case, Wickard v. Filburn, is (in my opinion) the single most damaging case the US Supreme court botched from start to finish. It was still rolling with Progressive plants to destroy any semblance of self reliance. Even back in the early 20th century, so this is nothing new that is happening today with broadening the legal definition of “fair” taxation (such as it is).